The Telangana Archaeology Department has excavated a stunning discovery – one of India’s largest capstones, and the largest such stone in south India so far. 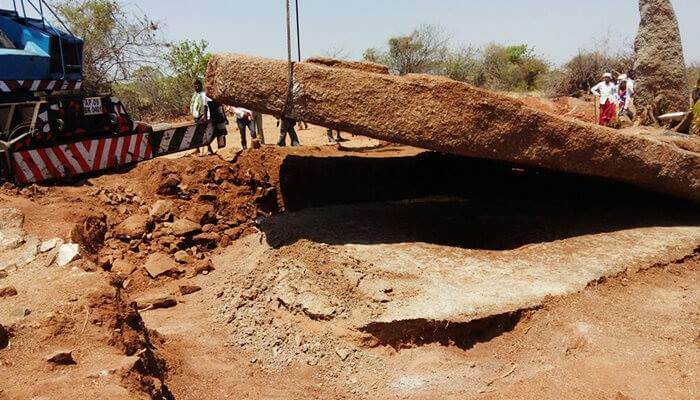 A team of archaeologists in Telangana have unearthed a 40-tonne capstone, believed to be the largest discovered in South India. The discovery was made at a prehistoric Menhir megalith burial site in Siddipet’s Neremetta village. A crane was used to remove the stone – 6.70 m long and 4 m wide – in a four-hour operation, Deccan Chronicle reported. Officials have found at least 50 megalith burial sites, which have been classified as Menhir, Cairns and Dolmens. Scientists said capstones were used to protect corpses from predators as prehistoric people believed that the soul continues to live even after death. By using radioactive carbon dating process, researchers calculated that the Megalith burial sites were from 1000 BC and the latest one was from 200 AD. However, those bones are still under research. Lead researcher and Director of the Archaeological survey department, Dr. Naik said in a statement,“We can’t say it’s the world’s largest as there could be much larger ones. We don’t know, but we can safely say that this is the largest capstone found in South India and one of the largest in the country”. The excavation began a week ago after megalith burials were discovered in the neighbouring village of Pullur Banda. It was led by the department’s director NR Visalatch. According to archaeologists, it took four hours for a huge crane summoned from Hyderabad to lift the massive 40 ton capstone. 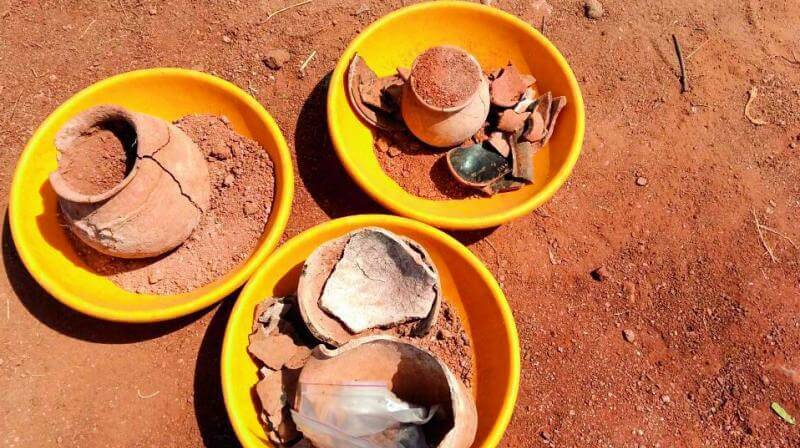 P Nagaraju, assistant director said a piece of an arm bone, two centimetres in length and three other bones were also unearthed in a nearby menhir. The bones and other findings will be sent for DNA testing to CCMB and to the Deccan College of Post Graduate Research in Pune and deeper study.